Our original power lifting wrist wrap, the 30” Villain wrap is as extreme as they come. Developed with outright performance and support in mind, with input from our man Leroy “The Machine” Walker himself. Granted not everyone can wear a 30” wrist wrap, but if powerlifting and strong man is your thing and breaking big PR’s if what you’re about then these are definitely the wraps for you! Heavy bench press, big overhead shoulder presses and three figure dumb bell presses then these have got you covered. The TuffWraps belt loop tightening system gives you one less thing to worry about and removes the need for a thumb loop allowing you to be as comfortable at the bar as possible. The 30” Villain wrist wrap has all the same great features as our every day ones, with the addition of double Velcro attachment points for added security. 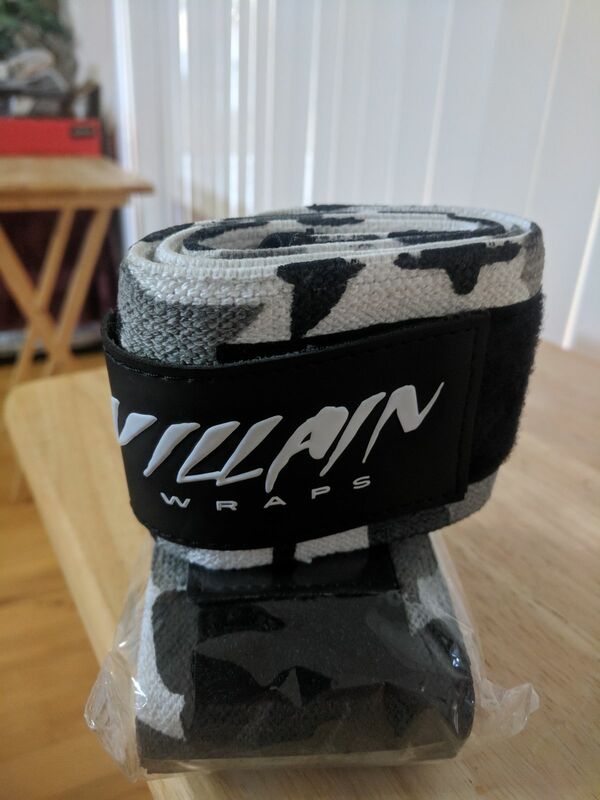 Villain wraps wont let you down. Now in the classic Black Camo colours these are as popular as they get with current day gym wear.